The Gorilla MFG ROMEO GM-15 16" Rifle upper is designed as a fully Mil-spec compliant carbine series upper for every level of shooter. This carbine upper has the same level of quality and performance that you have come to expect from all of Gorilla MFG products Made In USA. It has been configured at a price range that is affordable to shooters of any budget without sacrificing features and quality. Each component is manufactured to Mil-spec standards and backed by Gorilla MFG Lifetime Warranty. NOTE: Some states and areas, like California, New York, New Jersey, Connecticut, Massachusetts require certain options and modifications.Please email us Sales@gorillamachining.com for modifications price varies on each modification. Please check with your local FFL if you have questions regarding legality as we cannot be responsible for laws in every state or county. 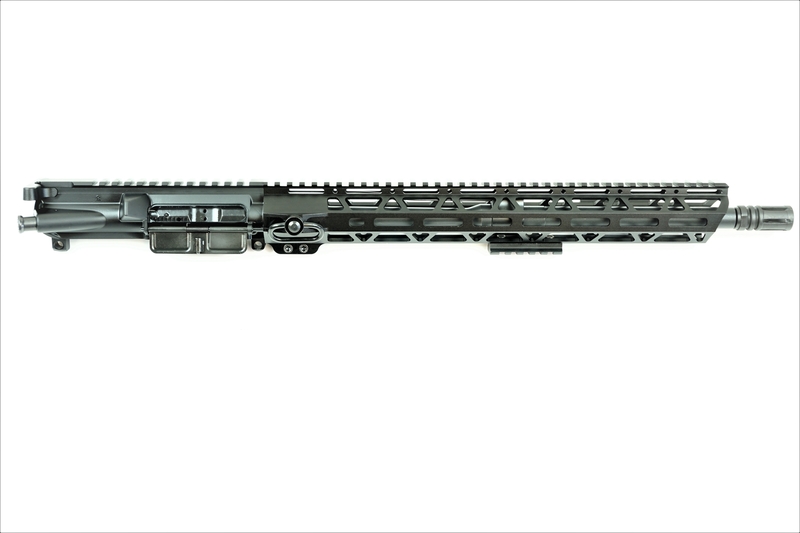 GORILLA MFG AR-15/M4/M16 .223 Wylde Recon Carbon Fiber Upper Receiver No BCG 8.5"